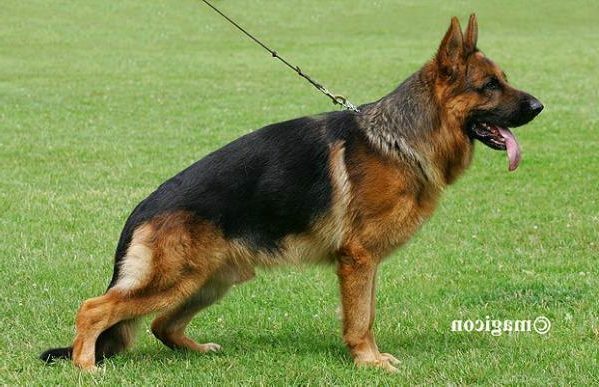 Dog Profile: Von Rief German Shepherds is excited to welcome to our breeding program, SG Monaliza vom Team Panoniansee IPO1! Monaliza is a beautiful black and red female with an excellent temperament. She is a proven producer and is the mother of SG8 (BSZS 2015) Hondo vom Team Panoniansee. 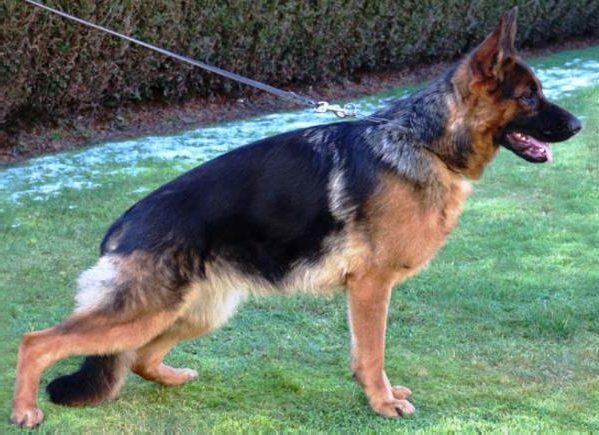 Monaliza comes from an impressive German pedigree loaded with V/VA rated dogs. She is the daughter of V9 Ober della Valcuvia and granddaughter of VA1 Zamp vom Thermodos. Her great grandfathers include VA Quantum von Arminius, VA Dux della Valcuvia and VA Esko vom Danischen Hof. Monaliza has A1/A1 hips/elbows, the highest German rating. Mona has passed her OFA cardiac exam and she has also been tested for degenerative myelopathy and is DM clear (DM free) so her puppies are not at risk for this disease. We are excited to see her offspring!